Back in 1958 Lego estimated the number of possible combinations for 6 basic lego bricks to be around 100 million - some time later a mathmatics professor estimated the total number of permutations for 6 bricks to be closer to 1 billion! So imagine how many combinations there are with 100 Lego bricks! 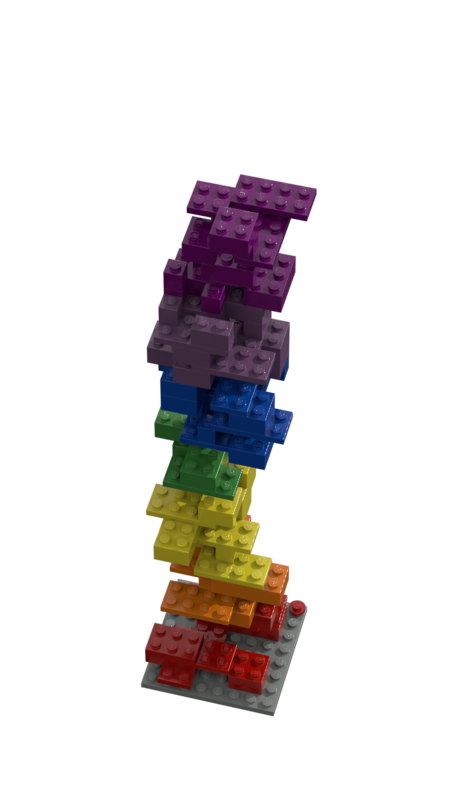 Here at Brickalo we think that the number of ways of putting together 100 bricks is almost infinate - and that makes a tower of coloured Lego bricks a lot like you and me - each of our rainbow towers is unique! 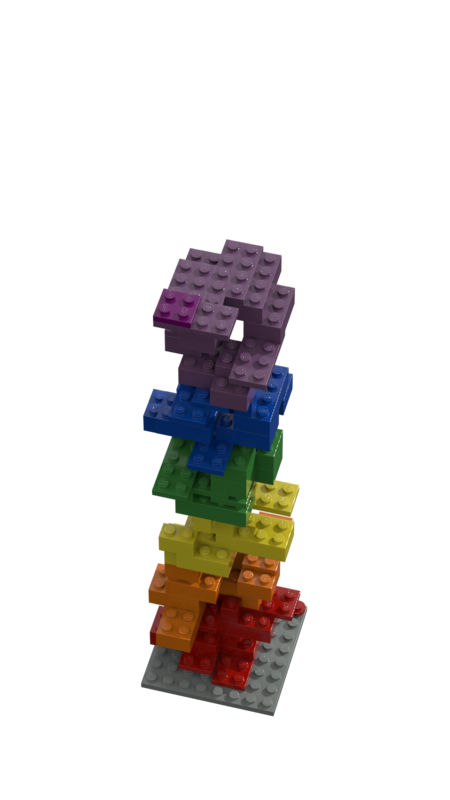 To celebrate this uniqueness we're giving you an opportunity to create your own individual Rainbow Lego Tower - Simply click the "Go Brickalo" button below and Brickalo will breathe life into your own special Rainbow Lego Tower that's as individual as you are! 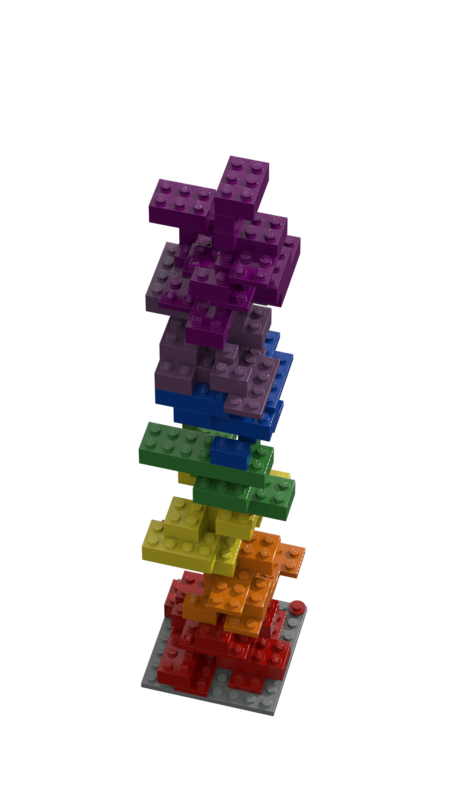 We'll create a picture of your tower so you can share your Rainbow Lego Tower with your friends and even give you the 3D model data as an LDR file. 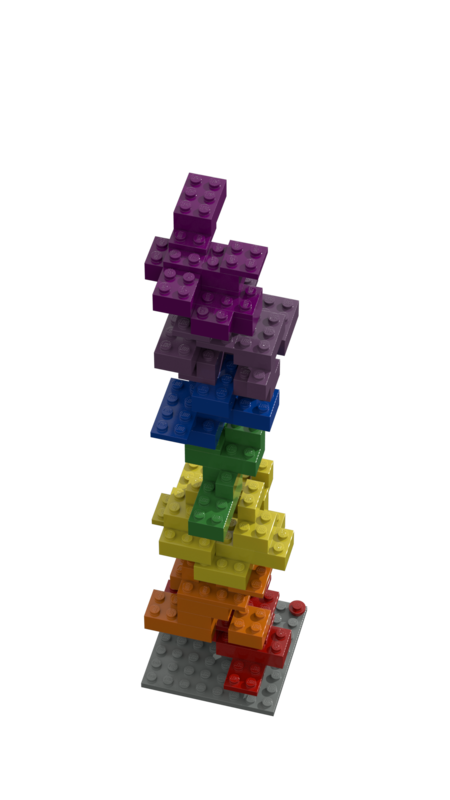 How do we create our Rainbow Lego Towers? 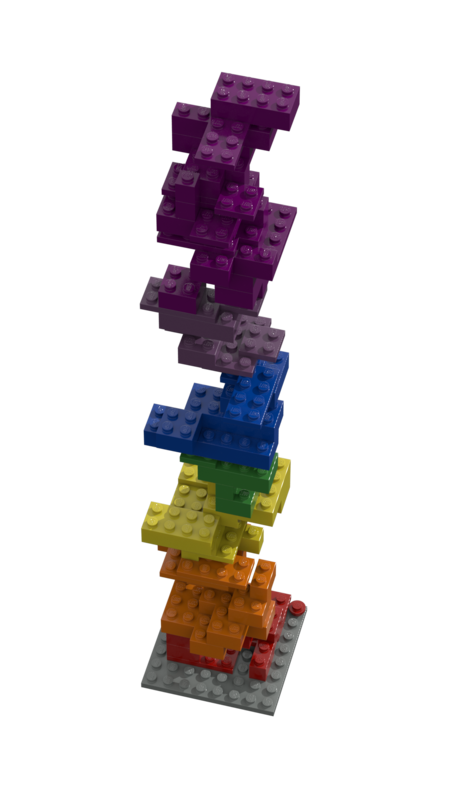 Brickalo then adds rainbow colours to your brick pile - if you've forgotten your rainbows its: Red, Orange, Yellow, Green, Blue, Indigo and Violet. Brickalo uses high end tools from the TV and Film industry to render your Rainbow Lego Tower to create some of the best digital representations of Lego available on The Internet. 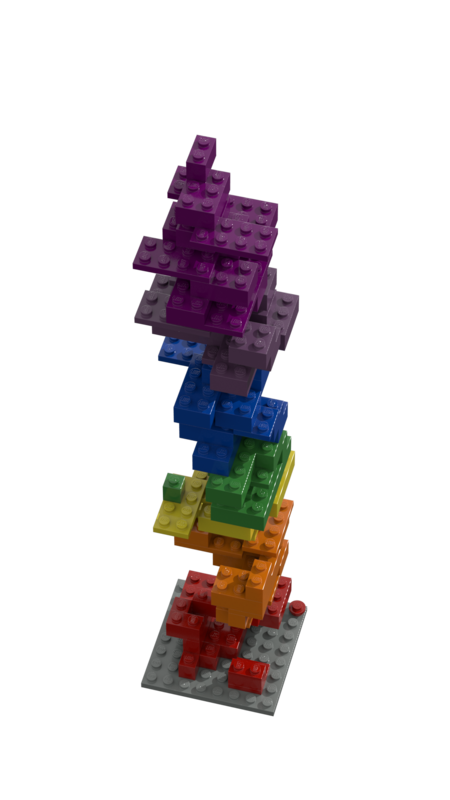 You can find some of Brickalo's latest Rainbow Lego Towers below. 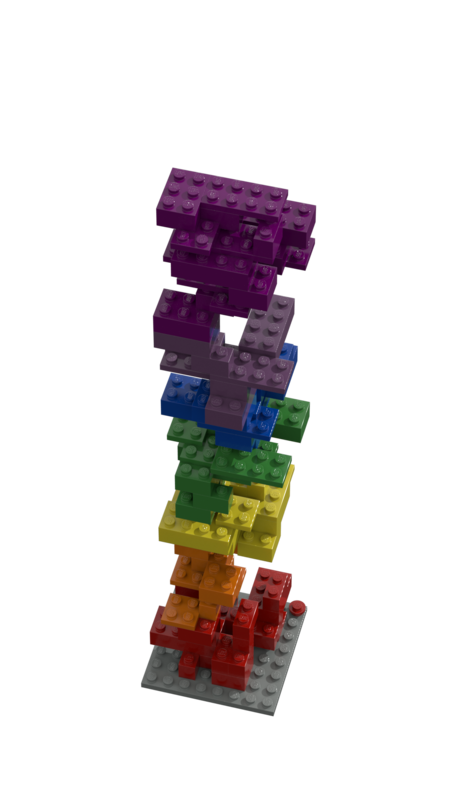 You can download a picture and the 3D model file of your Rainbow Lego Tower as an LDRAW .ldr file. You can find out more about the LDRAW open standard for digital Lego bricks here. Can't find your Rainbow Lego Tower? 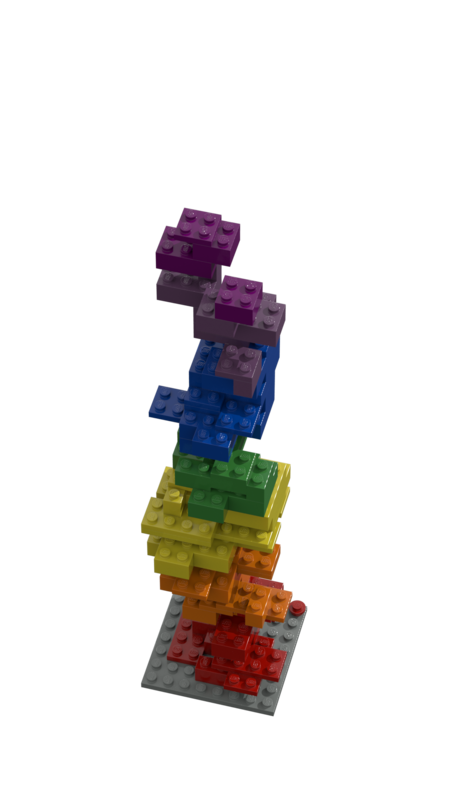 Fill in your details and click the GO BRICKALO button below to ask Brickalo to make a Rainbow Lego Tower for you. LEGO is a protected trademark of the LEGO Group of companies which does not in any way sponsor, authorise or endorse the Brickalo website, or any of the individual Brickalo models. Brickalo is not affiliated with, endorsed by or licensed by any of the LEGO Group of companies.All other trademarks are property of their respective owners. This project would not have been possible without the people responsible for the links listed in this section.